An Apology? We Prize Nothing More Highly! The Internal Revenue Service just admitted that it (illegally) flagged conservative political groups (generally those that included the words “tea party” or “patriot”) for persecution (my words not theirs) in 2012. But don’t worry the IRS also assured us these decisions were made by lower level flunkies and “was not motivated by political bias”. This information comes to us from Lois Lerner, who heads the IRS division that oversees tax-exempt groups. Senator Ted Cruz: And now the apology from IRS. 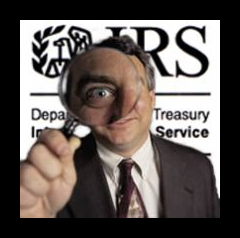 Lois Lerner: We, the people of the IRS have discovered that we lied to you last year. More specifically we discovered that you could probably prove that we lied so we’re copping a plea that some flunkies did it and accept full responsibility. We’re sorry. Senator Cruz: We prize nothing more highly. And tell us, how great is your remorse for what your flunkies did? Senator Texas Lynn: We are delighted to hear it. Fall on your sword… Show us this remorse. Throw yourself onto your sword. >> I’m going to admit something. I hope you enjoy it. >> Every time I’ve heard people say ‘Ted Cruz is crazy,’ and I’ve looked up what he said, it didn’t sound crazy to me. Maybe I missed something — entirely possible. Just the MSM spin. 🙂 Hicks, Neo Nazi’s and Racists… Oh My! >> But on the issues I’ve read his words on (taxes, the fiscal cliff deal) he sounded sane. And what he says is nothing different than what the tea party in general stands for.